95KSJ presents Dan & Shelby Off The Mic. Extra helpings of exclusive content! From their views on the World of Country Music....to local Gulf Coast stories of interest...to the good news...to special guests...and more! 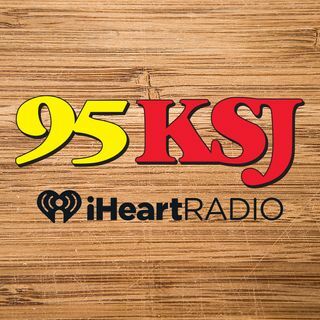 They reveal a bit more than they can during their regular show (playing today's hottest country on 95 KSJ 3p-7p ... Más informaciones Monday - Friday) so you can get to know them even better. Join us every week, free on the iHeartRadio App! The BROADcast Podcast is hosted by four completely different ladies (age 20-something to 50-something) who make their living behind a microphone on four different radio stations at iHeartMedia on the Gulf Coast. Shelby Mitchell from 95 KSJ, Mary Booth from Mix 99.9, Arielle from 107.3 The Beat, and Johnna from K99 Country. Every week ... Más informaciones they’ll share positive stories about women, their opinions, what’s happening in their crazy lives. They are all moms with mics who want to inspire, motivate, and empower women of all types and ages…and guys are welcome to listen too...(hey you might gain a little insight)! Get to know the ladies behind the mics a little bit better and take something valuable away every week. Message them on Facebook and Instagram.